I’m proud of my website. Other than my work itself, it’s the best advertisement I have for my freelance editing business. My site is a reflection of my integrity, my work ethic, and my commitment to editorial quality: it’s a reflection of me. So you can imagine my reaction when, in late 2010, I discovered that some of my content was being passed off as that of five different editors in three different countries. This is a cautionary tale of how I first discovered that my website was being plagiarized, and what I did in response. So what happened? What caused me to discover that my original website content was being stolen? Not long before, I and a colleague were discussing a mutual project when we began to talk about the difficulties of maintaining control over intellectual property. She mentioned that she had recently started to use a plagiarism-detection service called Copyscape to ensure that content from her website was not being pirated. I decided to try it for myself. I went to www.copyscape.com, plugged in the URLs of my pages that I wanted to check, and Copyscape scanned the Internet for other pages with identical content. That’s when I discovered the theft. The searches revealed that five editors—one from Canada, two from India, and two from the US—had plagiarized different chunks of text from my website, in one case an entire 455-word page. To add insult to injury, three of the five plagiarists’ websites claimed to write and edit website content as part of their services. And the one―let’s call her Polly Plagiarist*―who had copied my 455-word page had shamelessly stuck a “Protected by Copyscape—Do Not Copy” banner at the bottom of every page on her site, along with the tag, “copywritten [sic] 2010.” I checked Polly’s website further, and not only did basic writing errors abound—shocking for a someone who calls herself an editor—but she claimed to have a master’s degree in English. I was horrified to be associated with such an appalling lack of ethics on top of such a dearth of editorial skills. If this were not so egregious, it would be laughably ironic. But I could hardly laugh; I was furious. I felt violated, as if my home had been broken into and robbed. I wrote to all five offenders, asking for an apology and for the removal of the copied content. Three of the five complied, excusing themselves by claiming they were too busy to write their own website content and had hired someone else to do it—as if that excused them from any responsibility for the theft. But really? Editors who advertise writing website content but who can’t write their own content? More irony. Was the problem solved? Alas, it was only beginning. Only a few minutes after I contacted her, Polly Plagiarist had removed my page from her site, slapped up a new page of content, and written back to me professing remorse. Her excuse was the same—too busy to write original content so she hired someone to do it. Suspicious of the speed with which she had replaced my words, I decided to check her new page with Copyscape too. Sure enough, she’d turned right around and stolen the “new” content from another site. By then, beyond incredulous, I ran Copyscape on all her other pages, discovering that two more pages on her site had also been plagiarized from other sites. I e-mailed the owners of all three pages, which eventually resulted in Polly removing all of her plagiarism, but not without a pathetic e-mail to me demanding that I stop “harassing” her or she would sue me. Really? Polly evidently needed some education in legal matters as well as in editorial matters. Another disturbing aspect of these thefts is that the plagiarists not only stole my words, but they also stole my highly developed, painstakingly written, search-engine-optimized paragraphs. These pages took years to become established in Google searches, and it takes ongoing work to maintain rankings. This is double theft: first the words, then piggy-backing on my well-researched optimization and taking advantage of my highly ranked website. And until Google’s spiders stopped finding the cached words that were stolen from me, I continued to be associated with the plagiarists’ shabby sites. 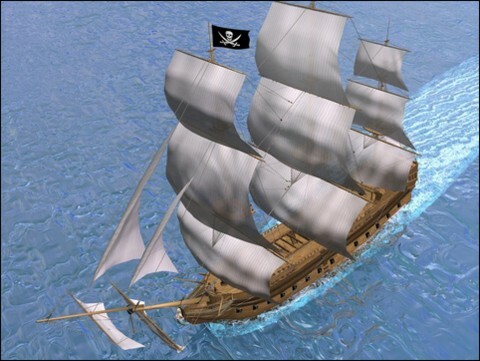 This was like five crippled, corrupt pirate ships forcing a stronger vessel to tow them along because they couldn’t function under their own steam. Perhaps the most reprehensible aspect of this behaviour is that it came from people who call themselves editors. Among most professional editors a silent code of ethics exists that states we will not tolerate plagiarism in any form, and we will hold the laws of copyright to the highest standards. 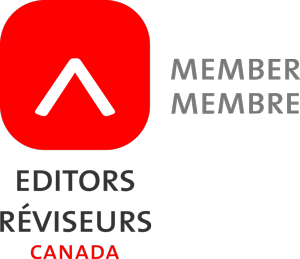 To violate this code is to damage the reputation of not only the plagiarists but of all editors, to demean the editing profession as a whole. It becomes difficult for an author to trust any editors when a few unethical ones have no qualms about lying, cheating, and stealing. 1. Read Copyscape’s tips. 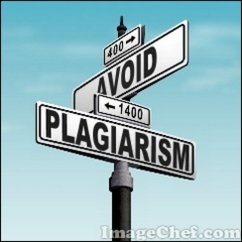 First go to www.copyscape.com and read the tips in the “Responding to plagiarism” link. I’ve elaborated on some of their tips below. 2. Use the Squeaky Wheel website. On this site, you can post a complaint about the plagiarizer that will appear close to his or her website in search engine results. In addition, the offender will receive an e-mail notification each time your complaint letter is viewed. I know from a colleague that this can be an effective solution. 3. Invoice the plagiarizer. If the plagiarism is still not removed, try sending a polite message and an invoice to the offender for whatever you deem suitable as damages, including stress and time spent trying to eradicate the plagiarism. If no response is forthcoming, send the invoice by registered mail. If you still receive no response, your next step is to inform the offender that you will be taking the invoice to small claims court. By this time, the person will probably be taking you seriously, and will have hopefully agreed to remove the plagiarized content. If not, follow up and pursue the claim in small claims court. 4. Contact Google. A further measure you can take is to contact Google. Under its section on duplicate content, Google suggests the following: “If you believe that another site is duplicating your content in violation of copyright law . . . you can request that Google remove the infringing page from our search results by filing a request under the Digital Millennium Copyright Act.” Read more about duplicate content here. 5. Take the issue public. Your final—rather drastic—choice is to further take the issue public using the Internet. However, I would suggest talking to a lawyer before things devolve to this stage. In these instances, the damages to the offender can be severe, as in the case of the 2010 Judith Griggs/Cooks Source copyright infringement violation that was exposed and went viral online when Griggs refused to pay a nominal amount for the material she plagiarized or to apologize to the original writer (http://en.wikipedia.org/wiki/Cooks_Source_infringement_controversy). In the aftermath of this ferocious scandal, Griggs’ shady editing career was ruined—likely forever. 6. Use a plagiarism-detection service. The simplest way of protecting the content on your website is to use a plagiarism-detection service so that anybody who is thinking about stealing your content thinks twice. Research the many plagiarism-detection services available, find one you like, and place plagiarism-warning banners on each page of your site, alerting people that your content is being monitored. As the saying goes, the best defence is a good offence. 7. Review the plagiarizer’s business on Yelp. Yelp is a website with business listings in many countries. Find the offender’s country and write a review of their website, mentioning their unethical and illegal theft of your intellectual property. 8. Does the plagiarizer belong to a professional association? While that’s unlikely, it’s worth checking out. If they do, then report them to the association immediately. How they work. Thousands of plagiarism-detection services are available to choose from: a cursory search on Google.com under “plagiarism detector” yielded about 900,000 hits. Some services detect website plagiarism, allowing you to plug in the URL of the page you want analyzed or to do batch searches of your entire site; others detect plagiarism in “offline documents,” allowing you to upload individual documents for analysis. Still others do both. What they cost. Some plagiarism-detection companies offer no-frills free services (often as a gateway product for their for-fee services); others charge on a per-use basis; still others charge an annual subscription fee. I discovered Polly and my four other plagiarists by using Copyscape’s free service. You might also consider signing up for one of its for-fee services: Copyscape Premium or Copysentry Standard. Copyscape Premium is a search-for-fee service that allows you to see a complete list of potential matches (unlike the free service, which restricts potential matches to ten per search). It costs $0.05 US per page. Copysentry Standard is an automated service that scans the web each week, looking for copies of an entire site. This costs $4.95 US per month for up to ten pages; each additional page costs $0.25 US per month. Plagiarism has been going on for millennia, since humans first developed systems of writing. And despite the high moral esteem in which most editors can be held, there will always be people with negligible scruples in our profession, as in every field of work. But while the Internet makes plagiarism so much easier for intellectual property thieves, it also makes plagiarism detection so much easier. Caveat emptor and caveat editor. I originally wrote this article for a 2011 issue of West Coast Editor, the newsletter of the Editors’ Association of Canada’s British Columbia branch. It has been reproduced with permission here, with a few modifications. * If you would like the real name of Polly Plagiarist, please e-mail me and I’ll release it privately. You’ll want to avoid hiring this person. ** Since writing this article in 2011, I’ve learned a few things about Google Authorship, which can help reduce plagiarism by verifying you as the original author of your content. Excellent article, Arlene! I had a college student blatantly plagiarize a paper. She didn’t even bother to take off the email heading that gave its source. It is very prevalent across the Internet. I’m going to check into the product you used! Thanks, again for sharing your experience! You’re most welcome, Amy. I’m pleased that so many people (on my social media) are reacting to my blog post. Plagiarism is obviously rampant on the Internet and a highly contentious issue, whether you’ve experienced it yourself, found it in a client’s work, or the issue is new to you. Definitely look into Copyscape. It’s very easy to use. Thanks for the info, Arlene. Sharing and signing up for copyscape right now. You’re welcome, Martin. Glad to be of service and help out in the war on plagiarism. I wrote this article a few years ago, but posting it here today has got my blood boiling again over this issue. I only wish there were a way to target Polly’s website and penalize her, but because she’s taken the plagiarism down, there’s little I can do. And she can go on lying about her abilities as an editor and cheating clients out of money by claiming to be an editor when she can’t even spell “copyright.” Grrrr. Thank you, Arlene. This is valuable information. You’re welcome, Yvonne. I’m glad this post is generating so much discussion. Education and awareness are the keys to combating plagiarism. You’re very welcome, Wendy and Charles. Thanks for taking the time to comment. I appreciate your compassion, Carole. In retrospect, I’m thinking my ordeal was well worth all the anguish if I can now educate other website owners on the perils of e-plagiarism! Arlene, I just checked my website on Copyscape, and found a book designer in Australia using the exact wording from my Services page on their website! Requested immediate removal. Thanks for the reminder! Glad I could be of service, Fiona. Let me know what happens — I hope you get immediate removal. I just checked my own site a month ago, and all was good. It doesn’t hurt to check every three months or so. Unbelievable! I guess I was naive enough to think that the unyielding glare of the Internet would restrict the kind of plagiarism you’ve described. People ignoring the risk of such easy exposure surely transcend normal stupidity. And Polly Plagiarist’s threatening to sue for harassment is kind of a demented definition of irony. This piece has been a real eye-opener! Thanks for your feedback, Irene. I know — I was stunned when she threatened to sue me! Are people really that obtuse? Did she think she was special and immune to being exposed if she plagiarized other people’s websites? I’m baffled by these thieves’ thought processes and their abilities to rationalize and make excuses for their crimes. Just as with other types of criminals, these people seem to have a kind of sociopathic tendency to believe they’re not doing anything wrong. There may be a few out there who are clueless enough not to know that what they’re doing is wrong–I did encounter an author like this once who suspiciously morphed from a poor writer to a good one within the same manuscript. She seemed genuinely surprised to learn that she couldn’t just copy things off the Internet; in her mind, if it was on the Internet it was there for the taking. But probably the vast majority of plagiarists are people who know full well what they’re doing and lack a conscience; I bet they don’t try to justify their actions in their own minds. Certainly someone who calls herself an editor and poaches from another editor’s site is in the sociopathic category as far as I’m concerned. Good post, and thanks for sharing your personal story and what you learned from the experience. Glad you agree, Caroline. (Sorry it’s taken me so long to respond to your comment. I’ve been on a partial vacation.) I too don’t often believe it when a writer claims they didn’t know any better. As a writer, one of the first things to be learned is that written material should be original. For an editor to poach and steal is unconscionable. This is incredibly useful and I’m off to download Copyscape now! Hope I don’t find anything awful! Let me know the results, Liz! Nothing, it seems – apart from two websites that look at page popularity. Good! That’s what you want to see. I find that I’m all tensed up in anticipation as I put in the URL for each page, hoping there will be no “positive” results. Well dag nab it! The Internet makes this problem infinitely worse than it was back in the Analog Age. It is truly unsettling (and more than a little creepy) to have to seek out these purloiners of prose. This just reaffirms my belief that WWW actually stands for “Wild, Wild West.” I’m so sorry you had to deal with this nonsense. Of course, I’ve used plagiarism software on manuscripts I’m editing, but frankly it never even occurred to me to check my own work. Your article (and the helpful resources you provided) is an articulate wake-up call for all writers and editors. Thanks for taking the time to open our eyes! Aden, you’re welcome. Thanks for contributing to this discussion, and for your moral support. It was really a trial dealing with this back when it happened, but as with most difficult things in life, I learned a good deal from the experience. The best part has been sharing it on my blog, getting so much support, and being able to help other writers and editors learn from my experience. Wow. I feel bad about being influenced by authors that I like. And I am writing a music piece called ‘Dancing with Bach’ which sounds like a Bach piece so far; actually, I don’t feel bad about that one. But, taking content word for word. Wow. I did that in Grade 9 and got caught – I copied the Encyclopedia for a short essay – never did it again. Thomas, nothing wrong with you emulating Bach’s style. Thank you for sending me your composition. It’s really very good — and original! Most writers, musicians, and other artists start out be emulating styles of the masters. There’s nothing at all wrong with that. It’s stealing word for word, or note for note, that’s not acceptable. Glad you learned your lesson early on in Grade 9! I should add that plagiarism is not just stealing content word for word, however. It’s also stealing ideas and concepts. Even paraphrasing another author can be considered a form of plagiarism unless you credit them for the ideas.